Oh man, the long run! I hate to break it to you, but the matter of fact is, whether you are a recreational 5K runner, or an elite marathoner, the long run is a vital ingredient to any successful training program. And I don’t really care whether you enjoy long runs, or dread them, these simply must be done. Therefore, if you are a runner, then long runs have to be a staple in your regular training routine, whether you are training for the 5K, the marathon or just doing for fitness and health. As a result, in today’s post, I’m going to share with you all you need to know about long runs, from a proper distance, the right tempo, to proper recovery and other training essentials. So why are long runs so important? How to do them? How to schedule them? The good news about long runs is that it ain’t rocket science. It’s really simple. Basically, the long run is the longest workout of the week. These 60 to 120 minutes (even more) runs are all about running at an easy pace— one that’s slow enough that you could carry on a conversation throughout the workout without much huffing and puffing. That’s why the secret to long runs success is to keep simple and avoid trying to turn it into something that it ain’t. Unlike intense running—such as fartleks and speedwork—long runs at a slow pace don’t put too much pressure on the bones. Sure, bones are sill prone to overuse injury from the high impact nature of running, but adding more mileage in a gradual and a slow manner stimulates your bones to make more tissue, thus becoming denser in the process. And the denser your bones, the stronger and less injured they get. 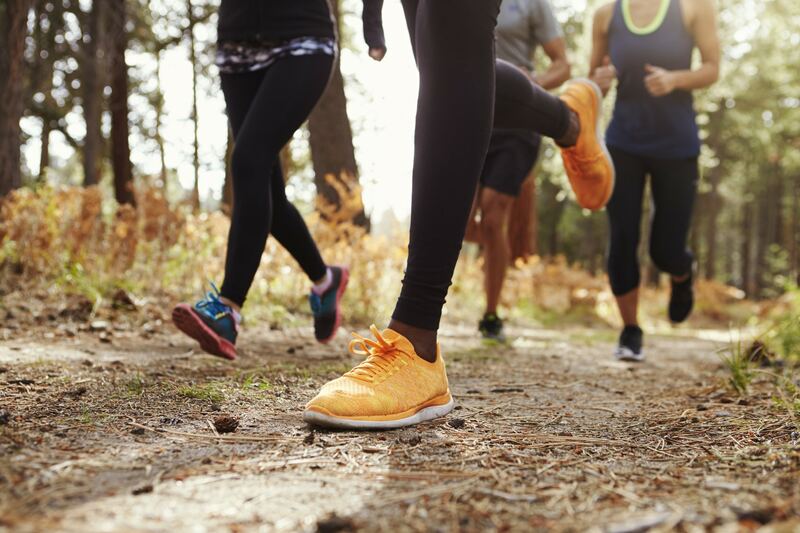 In fact, study shows that in runners, the weight-bearing bones of the spine, pelvis, and legs tend to be stronger and healthier than the bones of sedentary people. One of the major benefits of running long and easy is the development of capillaries, which are smallest of the body’s blood vessel and are vital for delivering oxygen and nutrients to the muscle tissue. The more capillaries you have surrounding your muscles fibers, the quicker and more efficient you can send oxygen and energy to your working muscles. And this capillary growth develops at its best while opting for proper long distance pace—roughly 60 to 70 percent of your 5K pace. The heart—after all—is a muscle. This is one of the most obvious—and sought after—benefits of long runs. Long runs train the aerobic system, and strengthen the heart. In fact, the more time you spend on your feet, the stronger and powerful your cardiovascular system will get. Of course, this happens during all other types of running workouts—speedwork, interval and so on—but long runs are exceptionally efficient at improving this aerobic power. Mitochondria are microscopic organelles that use oxygen to transform carbs and fat into energy, thus contributing significantly to Adenosine triphosphate (ATP) production. Put simply, these small cells are in charge of turning and transforming food into energy. That’s why the greater number of mitochondria your have, the better your engine will run since they are, after all, the source of power when it comes to cellular respiration. And according to research by Holloszy and Dudley, the greatest mitochondrial development takes place at about 2 hours of running at 50 to 75 percent of VO2max. In other words, mitochondrial development is at its best when running long and slow. For racers, long runs are a must—especially for half marathoners, marathoners and beyond. In fact, the majority of competitive runners rely on long runs as means for improving performance and achieving new personal records. On the other hand, beginner runners can also use long runs as springboards to the finish line. I’m going to talk about each bullet in detail, sharing with you all the training tools, tips, strategies to make the most out of your long runs. Long runs are not all created equal. The length and intensity vary widely from one runner to the next, depending of course on fitness level and training goals. 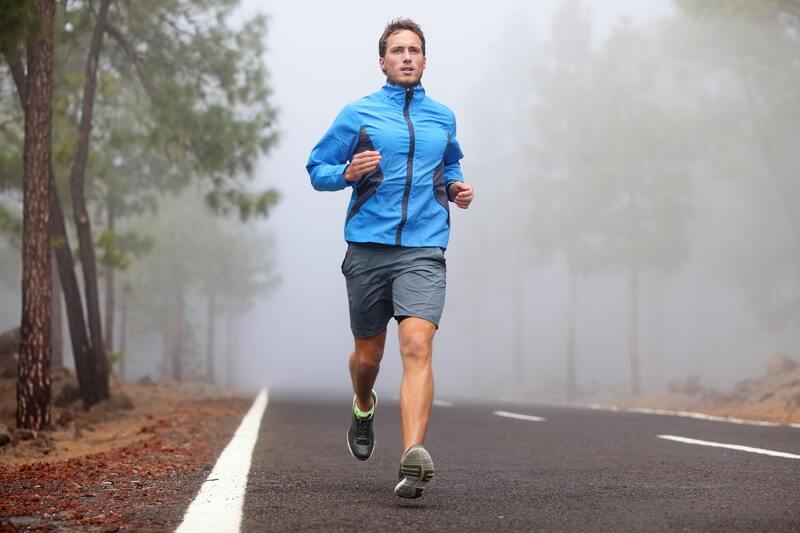 Some long runs are intended to simulate marathon conditions, while on the other hand, a long run is also ideal for fat loss and increasing fitness level. 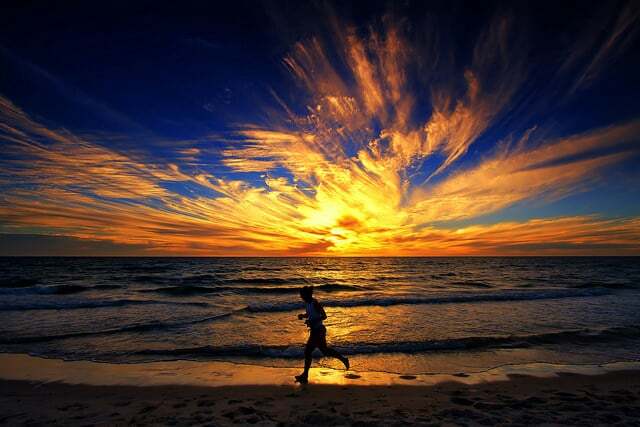 Distance is a matter of fitness level and racing goals (even personal preference). With that said, a typical long run can take from 12 to 24 miles, depending of course on your fitness level and racing goals. Your first long run session will be the longest distance you ran within the last two weeks. Next, while keeping a comfortable pace, plan your long running route so you could run one extra mile—or roughly 10 minutes—further from one week to the next. In case you have chosen a hilly terrain, then feel free to walk the up the hill sections if you have to. Just don’t exert yourself too much. Keep it easy. As I have already stated, the ultimate distance (or how far you’ll get), will depend, mainly, on your fitness level and training goals. For instance, if you are looking to improve your half marathon, it’s ideal to run up to 13 to 15 miles in training for your long runs. And so on. And as a general guideline, your long runs should not make up more than 25 to 35 percent of your total weekly volume. For example, if you run about 25 miles a week, then a 15-mile long is a bad idea. Nonetheless, aiming for about 8 to 11 miles would be more appropriate. However, if you are a complete beginner, then I urge you to start right by opting for the walk-run method first. When you are able to run straight for 30-minute without trouble, then introduce the long run into your training schedule. The 30-Day Beginner Running Challenge. Pace is another training aspect that depends mostly on your fitness and training goals. As I stated earlier, longs runs are not created equal, so before you decide on a specific pace, make sure to do a self-assessment and start from where you are at regarding fitness level and training goals. For the beginner runner, the long slow distance—also known as LSD (not the drug duh! )—is the way to go. Do your LSD runs at least two to three minutes per miles slower than your 5K pace—roughly 60 to 70 percent of your 5K pace. In other words, long runs should be done at comfortable, conversational pace. So you really can’t go too slow here. The old ‘talk test’ is the way to go. You should be able to have a chat with your running buddy with much ease and without much huffing and puffing. If you can only say a sentence before you huff for a breath, then you are going too fast. Therefore, if you can’t hold a conversation during the last half, or the last miles of your long runs, then you are pushing too much. The pace is probably too fast and too hard. If you do this, you will be risking injury and a severe burnout. It’s better to err on the slow side. At least, you will not be hurting yourself. And also make sure to take plenty short walking breaks if they help to cover the distance. Don’t feel overwhelmed. If you are serious about pushing the pace, but not too much, you can always do a negative split in your long run. This means that you run the second half a bit faster than the first. This is also a powerful running strategies for long distance racers. Start your long run slow and run the first half at a conversational and controlled pace. Then, once you reach the middle point of the run, gradually pick up your pace and finish it off a bit faster. For example, if you are planning to run a 16-miler, run the first 8 miles at an easy and controlled pace, then at the 8th-mile mark, start to gradually pick up the pace and run the last 8 miles at, at least, 10 to 20 seconds per mile faster. If you are a racer, don’t run your long run at your goal pace. Otherwise, you are flirting with disaster. If you put too much stress on your body then your risk extreme fatigue—for the short term—and injury, and/or a painful burnout—over the long haul. Generally, if you are serious about nailing the right pace, then aim for one minute to 90 seconds slower per mile than your marathon pace goal. Don’t lose sleep over it if you are even slower; it isn’t a problem. Opting for this running pace will get you most of the sought after physical and mental benefits while warding off injury and overtraining. 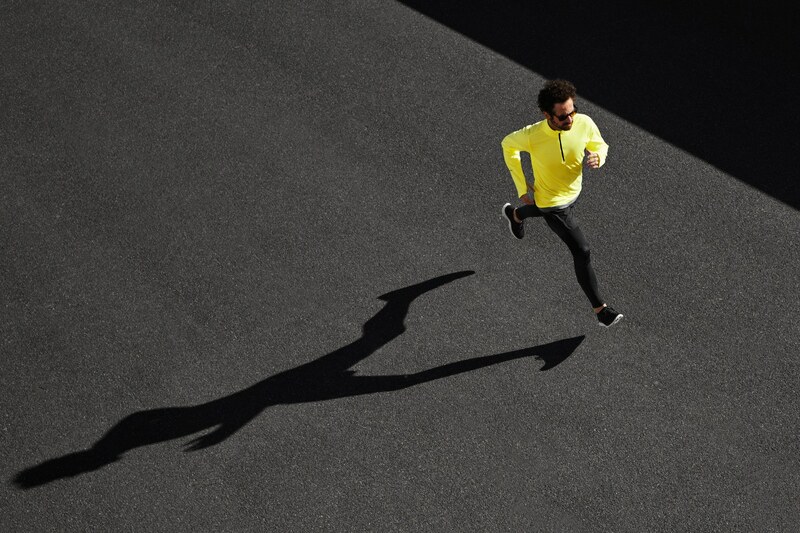 You can also do negative split during your marathon pace long runs. For example, for an 18-mile long run. Run the first 9 miles of your long run at an easy pace, then steadily speed it up to goal marathon pace over the last 9 miles. Long runs will take a toll on your physical and mental stores, so you’d better learn how to recover properly (and fast)—if you are serious about tackling your other workouts with ease. Treat recovery with the same serious manner you treat your training program. If you recover properly, and invest time (and money) in proper recovery practices, then you will bounce back quicker after hard workouts—such as the long run—and run with fewer injuries and reach your goals more over and over again. Here are four things you need to do to ensure maximum recovery after a long run. First starters, you can speed up recovery by opting for a proper hydration strategy during the long run. Your post-run hydration is also vital. So immediately after finishing a long run, be sure to drink plenty of water to meet your fluid needs. Plus, have a recovery day—or a couple of days—after your long run sessions. If you don’t want to take a couple of days off, then cross-train—doing preferably low impact activities with minimum stress on the body. Do a light total-body or a core exercise routine, light yoga or foam rolling to release any tension or post-run ache and pain. Eat as soon as possible after completing a long run. Consume carbs and protein within 10 to 30 minutes after finishing your session to replenish your glycogen stores and provide your body with the necessary building blocks for recovery. Then an hour to two hours after the workout, eat a regular meal. Eat plenty of vegetables, fruits, lean protein, and healthy fats, olive, seeds, nuts or avocado. No junk food is allowed. Prioritize eating for recovery during the hours after a long run. Plus you can also consume energy bars and gels during the long run to keep your energy stores humming and speed up recovery afterward. Also, make sure to stretch your body and let go of any tension. Here are two stretch routines that can help. Focus on major muscle groups—especially the muscles you use the most during your runs. Stretch your running muscles and breathe into any tightness so you can release it. Of course, this just a typical schedule. You can always come up with your own training schedule. In fact, I urge you to do so. Just keep in mind to make recovery a priority. Two hours before a long run, eat a small meal that consists of .5 to 1 gram of carbs for every pound of bodyweight. For example, if you are an 180-pound, you should at least aim for 90 to 160 grams of carbs, that’s the equivalent of 400 to 600 calories. Avoid high-fiber foods as a pre-run choice since they take longer to digest, leading to gastrointestinal stress and mediocre performance. During the long run, plan on carrying fluids and some light energy sources. Start refueling and taking energy 45 minutes in, then take in gels and fluids every half an hour during your long run. By fueling early, you’ll be less likely to exhaust your stores, reducing the risks of hitting the wall, which can be really hard to bounce back from. Dehydration will kill your performance without any doubt. So make sure to carry your own drinks or plan your running course around water stops. Take in as many forms of hydration as you can: plain water, smoothies, recovery drinks and my favorite, chocolate milk. Here is my full guide to eating on the long run. Keep experimenting with different foods and drinks until you find what works the best for you. You’re going to need to keep well hydrated, and likely eat something to sustain your glycogen stores. The long run might be the most important piece of your training program, and all other significant sessions have to be planned around the timing of this vital piece. But this does not mean by any stretch of the imagination that long runs should be the ONLY focus of your training program. A proper running training program should cover all necessary elements, such as speed work, tempo runs, a sensible diet, etc. 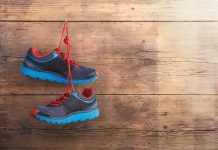 And keep in mind that maintaining a consistent running routine throughout the week will provide more significant endurance and fitness gains than a big long run with several days off on whichever side of it. I guess that’s it. This step by step guide on how to start long runs is all you need to get you on the right path. So please, do it right. Build up the distance gradually, get your pacing right, and steer clear of some of the common pitfalls beginner runners often make. Thanks for the article. I’m new to the long run so this was a very informative article.